Low cocoa prices have compounded some tough economic challenges for Côte d’Ivoire. Côte d’Ivoire is the world’s largest cocoa producer. Credit: Nestlé. This April, cocoa farmers in Côte d’Ivoire awoke to find their crops had lost over a third of their value overnight. The government of the world’s largest cocoa producer had slashed the price it guaranteed farmers by 36%. Cocoa producers would now be paid a price of around 700,000 CFA Francs ($1,250) per tonne. The Ivorian government said it would maintain this reduced level for the April-September harvest, but later extended the measure to March 2018. The administration felt it had to take this drastic measure given the difficult prevailing circumstances. Cocoa has long been the cornerstone of Côte d’Ivoire’s economy – accounting for around a fifth of its exports – and low prices due to global oversupply have hit the nation hard. In April, the government was forced cut its annual budget by 10%. In May, it announced a loss of $1.1 billion in export earnings. And despite lowering prices, its stabilisation fund had diminished by 300 billion CFA Francs ($54 million) as of this October. Lowering prices paid to farmers was a way to help Côte d’Ivoire keep its head above water. But the measure was not without controversy. According to cocoa farmer spokesperson Bile Bile, the price cut has had an “extremely negative impact on the lives of farmers”. Moreover, the contrasting approach taken by Ghana added further complications. Across the border, President Nana Akufo-Addo, who came to power in January, had promised farmers a fair price as part of his election campaign. Trying to honour this pledge, he declared that Ghana, the world’s second biggest cocoa producer, will retain its farmgate price of 7,600 cedis ($1,710) per tonne. This has meant that as of April, it has been around $500 per tonne more lucrative to sell cocoa beans in Ghana than Côte d’Ivoire. Levels of cross-border smuggling have surged. In June, exporters estimated that 80,000 tonnes of cocoa beans had been smuggled into Ghana since the price drop. Côte d’Ivoire’s cocoa regulator, Le Conseil du Cafe-Cacao (CCC), predicted a fifth of its harvest could be lost to Ghana next season if the price discrepancy continued. This state of affairs is a problem for both countries, which together account for around 60% of the world’s cocoa. In Ghana, oversupply due to smuggling makes it even harder for the government to maintain a high price. In Côte d’Ivoire, exporters are ever more reluctant to buy cocoa beans in advance, fearing the produce will be moved across the border. Given these issues, there have been various efforts to resolve the problem. Ghana has repeatedly promised to increase security along the border. Many are sceptical this will work. According to Narcisse Konan, the president of a cocoa farming cooperative, the “only way to stop smuggling is to introduce a better price for cocoa in Cote d’Ivoire, which the government cannot do”. There have also been bilateral negotiations to find other solutions. Such talks in June led to the establishment of the Cote d’Ivoire-Ghana Sustainable Cocoa Initiative. This joint industry body is intended to set prices in a way that discourages smuggling, while also developing strategies to store and release stocks according to market demand. Together, these measures seem to be having an effect. Some cocoa farmers say smuggling is diminishing. “The cocoa is travelling to Abidjan, not across the borders”, says Bile Bile, though he notes that this change “is happening very slowly”. Despite having Africa’s fastest growing economy in 2016, this year has proven far tougher for Côte d’Ivoire. 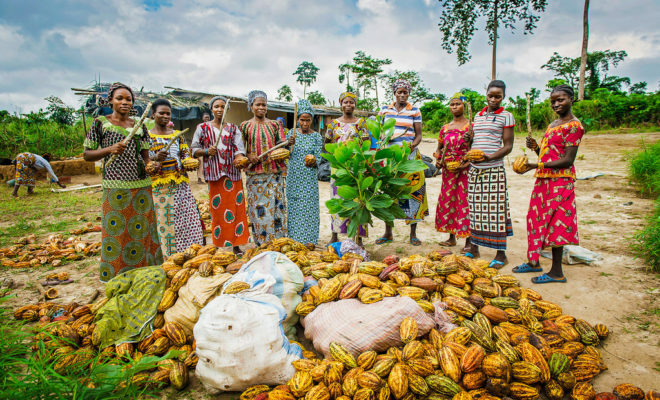 Any difficulties in the huge cocoa sector have widespread effects – according to the IMF, a 1% drop in revenue from cocoa beans can lead to a 0.63% drop in government spending – but this is not the only challenge facing the West African nation. “The cocoa price crash is yet another slap in the face for the government”, says Maja Bovcon, Senior Africa Analyst at global risk consultancy Verisk Maplecroft. But, as she points out, the country “has already been shaken this year by a wave of mutinies and civil protests by public officials”. In January and May, soldiers mutinied over the non-payment of bonuses they said they were owed from the conflict that ended in 2011. The government eventually agreed to pay out 60 billion CFA Francs ($110 million), the equivalent of 1.5% of annual government revenues. At the same time, civil service employees engaged in on-and-off strikes for five months, demanding they be paid salary arrears. 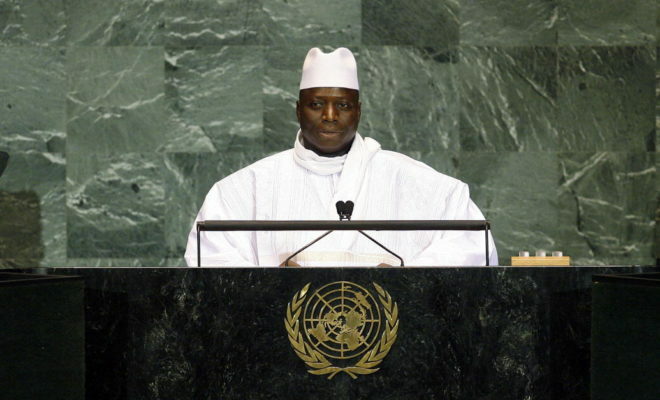 The payment to troops only hardened their protests, which eventually resulted in a truce in August that cost the government 249 bn CFA Francs ($450 million). Things may have steadied, but is unclear how long this will last. A further 7,000 demobilised ex-combatants are now demanding they be paid the same bonuses as the soldiers that mutinied. Meanwhile, citizens across the country – even strong supporters of President Alassane Ouattara – lament rising living costs and pervasive corruption. Having already spent so much to ensure stability in 2017, it will be difficult to continue to throw money at these problems in 2018. This will especially be the case if cocoa prices remain low. Following several years in which Côte d’Ivoire and its government was celebrated internationally for the country’s rapid economy growth, President Ouattara will be aware that the most turbulent years under the first post-independence president, Félix Houphouët-Boigny, came amid similar precipitous price drops. I would be very interested to see how cocoa prices will affect informal employment in the artisanal gold mining sector in the next couple of years, given the government’s heavy-handed but largely unsuccessful efforts to ban orpaillage.